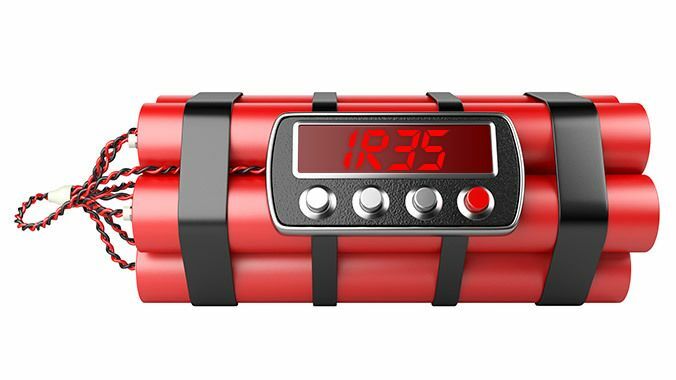 HMRC has set off a ‘tax time-bomb’ that private sector contractor clients have just 12 months to defuse. This is according to ContractorCalculator, in response to the number of fiscal and practical problems for hirers of contingent labour posed in the taxman’s latest Off-Payroll consultation. Hypocritical proposals remove all concessions for affected contractors. A key point of contention with the Off-Payroll rules in the public sector has been the lack of access to a dispute mechanism for contractors. The requirement for this has been intensified by reports of widespread ‘blanket assessments’ conducted by hiring organisations, an issue which HMRC has again denied within the consultation. The taxman has at least acknowledged that dispute resolution is an issue which requires addressing. Its proposed solution, however, will disappoint private sector hirers and contractors alike. “This is a lame passing of the buck from the taxman, which shows the Off-Payroll rules for what they are – HMRC outsourcing its job under the guise of legislative reform,” comments Chaplin. The requirement for an appeals process could be negated altogether, providing hirers and contractors are able to agree IR35 status from the offset prior to signing a contract. HMRC has recognised that transparency throughout the supply chain with regards to sharing status determinations and supporting evidence is important. “Contractors don’t want ‘certainty over their tax position’, as HMRC puts it - they want correctness. If a client provides evidence of a status assessment that a contractor disagrees with, they aren’t going to sign a contract deducting from them what they consider to be an excessive amount of tax. The problems for hirers don’t end at failed negotiations. The tax risk assumed via the engagement of contractors under the Off-Payroll rules has been significantly downplayed by HMRC. In its Employment Status Financial Procedures Manual, the University of Cambridge calculates that making an incorrect IR35 status decision can be ‘up to 56.3% more than the amount paid in respect of the services’. This considers additional tax, both employers and employees National Insurance (NI) and Apprenticeship Levy costs, plus interest and penalties. “This is a factor which HMRC has predictably kept quiet about,” comments Chaplin. “It’s also the reason why so many in the public sector have felt compelled to ignore compliance requirements and blanket assess their contractors. HMRC also used the consultation as an opportunity to reinforce its claim that ‘there is currently no link between tax and employment rights’, reaffirming that no rights will be granted to ‘deemed employees’ in the process. Is HMRC backtracking on promise to fix CEST? HMRC has stated that it will ‘explore enhancements to the Check Employment Status for Tax (CEST) service and associated guidance’ in response to concerns from stakeholders, adding that any changes will be made before the rules come into play. HMRC has imposed several high-profile retrospective tax bills on public sector freelancers off the back of CEST assessments, including more than 600 within the BBC. While this demonstrates the mistaken confidence that HMRC has in CEST, it also poses doubts over whether updates to the tool will be made. “‘Exploring enhancements’ doesn’t necessarily mean any changes will be made, and, given HMRC appears to have the utmost confidence in its tool, I wouldn’t be surprised if CEST is still in its flawed, simplistic format come April 2020,” notes Chaplin.